1. Explain the importance of documentation as a health care provider. 2. Identify the basic information that is required when documenting in the medical record. 3. Describe those particular issues that require documentation in the medical record. 4. Discuss the emerging documentation concerns regarding the faxing and computerization of records. 5. Determine documentation Do's and Don'ts." 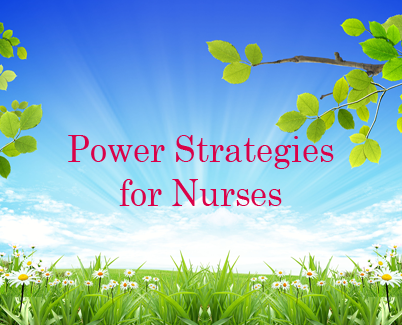 Nurses Notes: DAR and SOAP(ER) Formats, Associated Content"When it comes to nurse's notes most student nurses are up in arms on exactly what they should be writing. A focal note should be one of the easiest tasks to chart, but many students still find themselves struggling. There are different styles when it comes to writing nurses notes and you will eventually come to find a method that better suits your needs or department"
CHARTING your way to valid outcomes, Nurseweek/Healthweek:"Outcomes: the clinical buzzword of the ’90s. Employers groups crave the data, accreditation organizations require it, and every discipline in health care is trying to measure its own clinical outcomes. Yet no matter what the measurement tool, the results can only be as good as the information they’re based on. That often comes down to the quality of documentation in the patient’s chart. To borrow a phrase from the computer industry: garbage in, garbage out." LTC Health Information Practice & Documentation Guidelines:"INTRODUCTION, Purpose and Use of These Guidelines, Transition from Medical Records to Health Information (HIM), Definition of Long Term Care Facility, Acknowledgements, Copyright and Use of Report, Reference to HIM Practice Standards"
Nursing report cards—a virtual reality, Nurseweek/Healthweek:"The link between nursing and hospital performance, as measured by patient outcomes, has been poorly documented in the past. But that’s changing, thanks to efforts to collect hard data on nurses’ impact on outcomes—efforts that are pushing nursing report cards a step closer to reality." Unlocking the "Secrets" of Medical Records: By Shirley Eileen Fitzgerald, RN:"Although clearly essential for medical negligence cases, medical records can also be useful in many other types of cases. Beyond the accident report in personal injury cases, what did the injured party actually endure and why were pain medications withheld until after the patient was admitted to the hospital? After the fact, each divorcing parent can usually find an expert to hire who will testify that he/she is the better parent, but who was actually the primary caregiver before divorce became a consideration?"